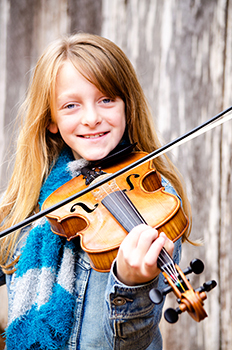 ayleigh received her first fiddle at age three and started taking lessons at four. She began playing a 10th size fiddle and has now progressed to a full size fiddle. Shortly, after beginning lessons she quickly learned many songs and began to frequent many local bluegrass hotspots. She always seemed to be a favorite at jam sessions. She has placed in several fiddlers conventions and continues to amaze crowds. Kayleigh has been featured in several local publications and was featured on Fox 8s Roys Folks. Along with her parents and brother she continues to play at churches, nursing homes, and other events. Kayleigh is ten years old and is in the 5th grade. oah is seven years old and received his first fiddle when he was 2. He began playing a 32nd size fiddle and progressed to a 10th size. He learned his first song, Boil them Cabbage Down at age 2. The Christmas of 2011 he asked for a banjo. After receiving a mini Gold Tone banjo, we knew this was his instrument. He now plays a full-size banjo at ease. He also sings many different songs. Noah always seems to bring the audience to laughter; he is many times a crowd favorite. Noah, was featured on Roys Folks and has been featured in various local publications. Noah has placed several times in local fiddlers conventions. isa is the newest member of the band. She has finally taken up the bass. 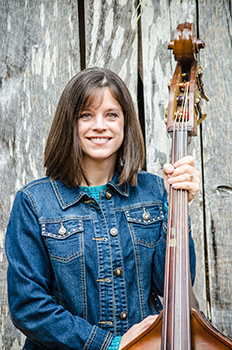 Lisa began taking bass lessons in the Spring of 2010. As she continues to learn, she thoroughly enjoys playing with her family. By her playing, it has motivated her children to develop at even faster speeds. Lisa is truly blessed with the talents that her children have been given and encourages them to share their abilities. Other hobbies include gardening, camping, and spending time with her family. dward, the founder of the band, has been playing the guitar for 6 years. 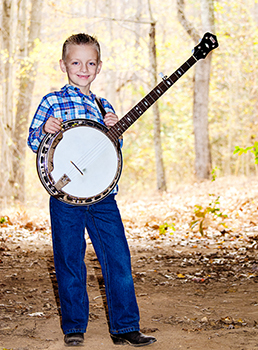 After seeing The Snyder Family Band perform, Edward was quickly inspired and then had a vision of his own. 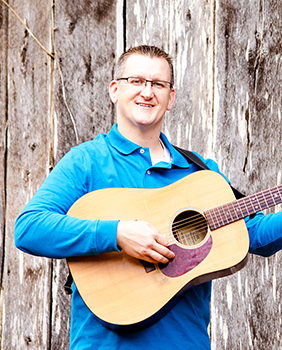 Edward is an avid bluegrass lover, and has always dreamed of playing the guitar. He works with his children daily to strengthen their talents. Edward cherishes his family and makes it a priority to build a strong foundation for his children. Edward also sings lead and harmonizes with Kayleigh and Noah. Other hobbies include beekeeping, woodworking, and reading.